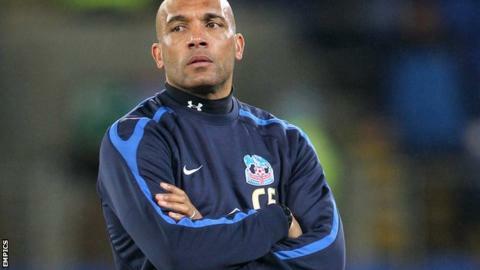 Ex-Republic of Ireland international Curtis Fleming has joined Craig Hignett's backroom staff at Hartlepool. The 47-year-old, who was most recently first-team coach at Bolton Wanderers, is reunited with his former Middlesbrough team-mate Hignett as first-team coach at Victoria Park. "Curtis is a fantastic fella and it's great news for me that he's coming in," the Pools boss told the club website. Hignett started his managerial career with a 2-1 win over Yeovil on Saturday. The 46-year-old, who succeeded Ronnie Moore on Wednesday, also said Fleming could be joined in the new-look coaching set-up by an assistant manager.